I decided to write this post in response to a minor pang of guilt I experienced last night. I was sat in the Midnight Eucharist service at church and listening to the vicar as he started his Christmas sermon. All was going well enough when he used a phrase... three little words that completely threw my concentration and caused me to tune out completely; just three words. By way of recompense, I decided to write a little bit on The Nativity that filled the gulf left by my lapse in concentration. It occurs to me that there are a number of unexpected journeys involved in the Nativity story. First you have Mary... the young virgin pledged in marriage to Joseph. I am sure the last thing she expected was for an angel to appear in her pantry and advise her of God's plan to bring about the birth of the Messiah through her. Then there is Joseph. I am equally certain that the last thing he expected while he was working on a door frame, was for his fiance to tap him on the shoulder and advise him that she was carrying a child... let alone God's own son. What of the shepherds tending their sheep? Did they expect the night sky to erupt in an explosion of light and rhymes as angels pouring out of the heavens announcing the arrival of the Christ child? Of course not. Or the Magi? Even if in their ruminations and studies they had anticipated that such a special child was coming into the world... they had no inkling whatsoever into the manner that child would arrive... or where he would be born. All of these people were faced with circumstances that felt very alien to them; and each of them were presented with a difficult choice. Mary had to choose whether she would be willing to carry God's child inside of her for 9 months and raise him to manhood knowing the potential difficulties society would throw at her. Joseph had to decide whether or not to honour his marriage commitment to Mary given the unusual story she was presenting him with... and the burden of raising and providing for a son that was not his own, while all the time hearing the jeers of scoffers and whispers of gossipmongers whose prejudice condemned his family. The shepherds had to decide if they were going to act on their trippy experience... possibly risking their already rubbish jobs, in order to see a baby whose significance they did not understand. The Magi had travel across half the Middle East picking up very expensive trade products based on a whimsical calculation over the movement of interplanetary bodies that might easily have proved baseless... especially when they got to Jerusalem and found things weren't as they assumed. "God sent into the world a unique person - neither a philosopher nor a general, important though they are, but a Saviour, with the power to forgive." It is as true today as it was then. In Jesus, nobody knows quite what to expect. People miss out on knowing and experiencing who Jesus is because they look at him through the lens of their own perceived wisdom and expectations. The Pharisees and Zealots failed to recognise Jesus when he appeared because they were anticipating a warrior king, a general. Similarly today, people mistakenly relegate Jesus to the same league as the philosophers and teachers of old - a line of thinking that C.S. Lewis robustly refuted in his Liar, Lunatic or Lord argument. As a Christian I accept that Jesus Christ is far more than a decent man and a good teacher... but more than this I accept that his sovereignty as part of the Godhead and his role in my own life, give him the authority to step into my life and call upon me to set foot on unexpected journeys... to undertake unexpected things, constantly. You may be reading this and not actually be a Christian and if so perhaps this is the beginning of an unexpected journey of your own. Confronted with the possibility that Jesus may be more than you imagine or understand him to be, are you prepared to invite him in and find out what his real agenda is in your life and the life of those around you? 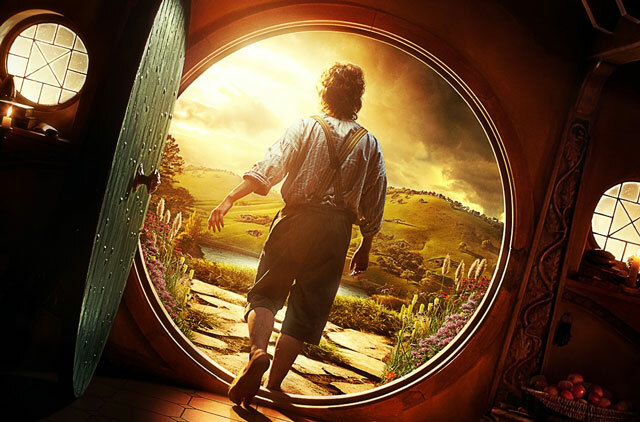 Are you prepared to begin your own unexpected journey?